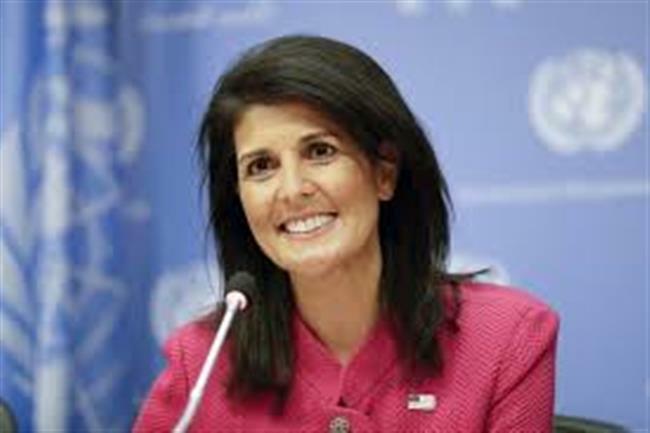 New Delhi, June 27 - US Ambassador to the UN Nikki Haley, who is in India, said she is here to strengthen bilateral relations and to continue the democratic bonds. The highest ranking American of Indian origin in US President Donald Trump's administration, Haley will meet Prime Minister Narendra Modi and External Affairs Minister Sushma Swaraj later in the day. "I am here to once again solidify our love for India, our belief in the friendship that India and the US have and our willingness to make that relation even stronger," Haley said during her visit to the Humayun's tomb. Mentioning that there were multiple level of opportunities between the two countries, Haley said India and the US shared the value of freedom. "Whether it is countering terrorism, whether it is the fact that we want to continue our democratic opportunities, or start to work together more strongly on the military aspect, there are lots of things that India and the US have in common," she said. She added: "It is great to be back." During her two-day visit, Haley will meet senior Indian officials, NGO and business leaders, students and members of the inter-faith community. It is Haley's first trip to India after being appointed as the US ambassador to the UN.